Did you know that you have a superpower? 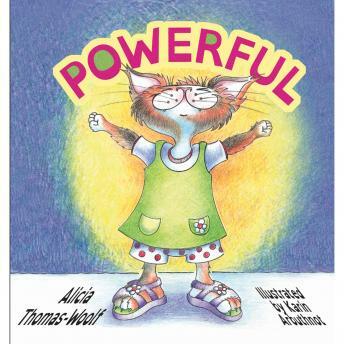 Kitty didn't, until she was bullied at school - then she discovered the superpower that made her POWERFUL! POWERFUL is real. It's an anti-bullying, confidence-exploding, NLP enriched story, song and action book. Children as young as three and older learn how to deal with bad, scared, sad or mad feelings... and feel powerful as human beings in everyday life. The Powerful song is included in this audiobook as it is a crucial part of the book. Only when the book, song and actions are all performed at the same time will it be maximally POWERFUL!